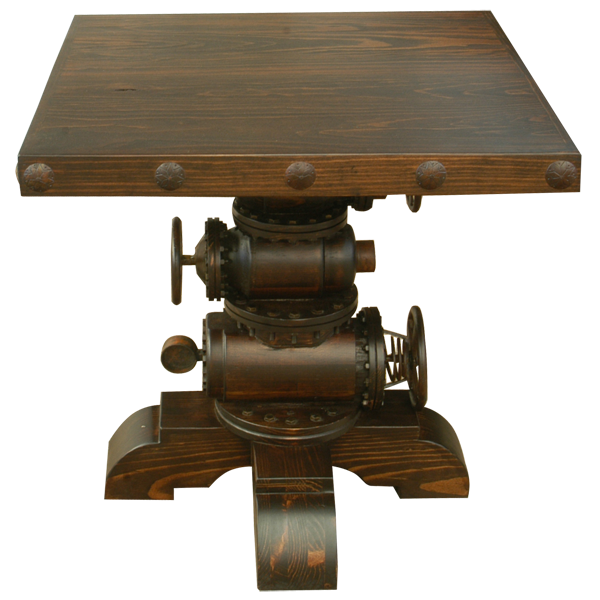 Complement your office or your home décor with this petroleum industry inspired handcrafted, Western style end table. 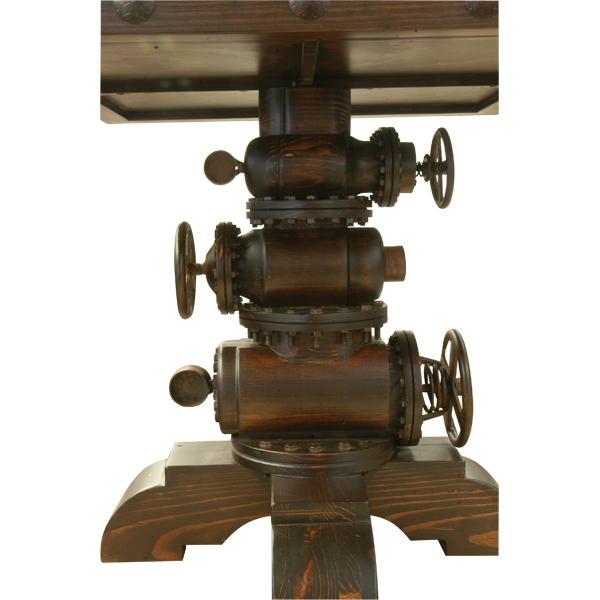 The end table is supported by three petroleum pump valves, ranging in various sizes, and the valves rest on four, robust, solid wood feet. 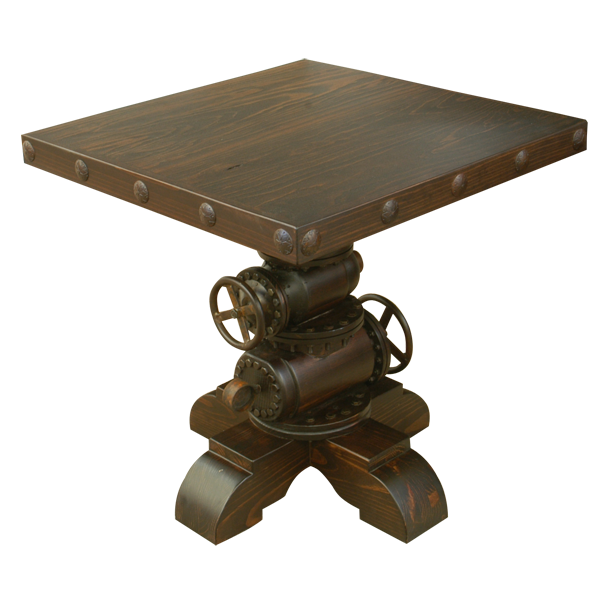 The open top of the end table has a beautiful, antique finish, and intermittently placed on the sides of the top are hand forged, iron nail heads. 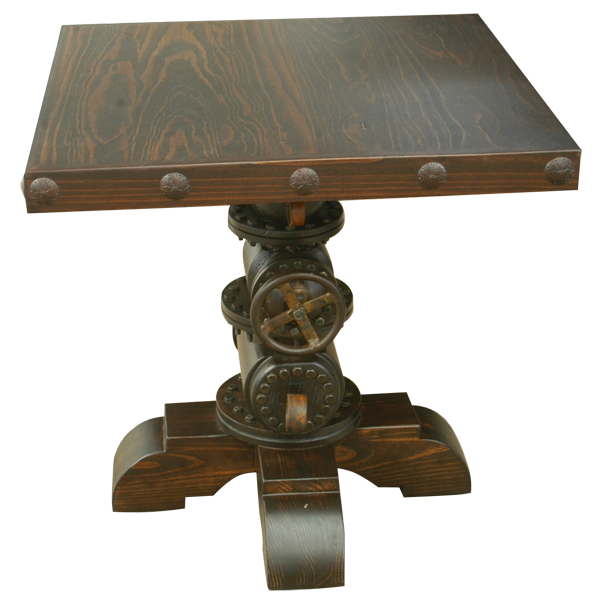 The desk is made with the best, sustainable, solid wood available, and it is 100% customizable.